Inspection & Service: Every Certified Pre-Owned bike is put through a 141-point inspection and pro tune service by a professional mechanic. All parts that didn’t pass inspection are serviced or replaced while complete access to the service sheet gives visibility into every detail of the process, giving you confidence the bike is problem free and ready to ride. 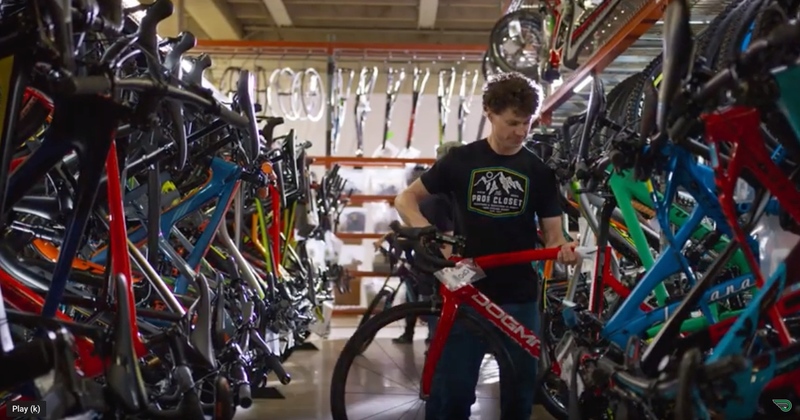 Guaranteed Buyback: The Guaranteed Buyback program pre-defines a trade-in or buyback value schedule of your Certified Pre-Owned bike for 18 months. The guaranteed buyback value of your bike is updated on a monthly schedule and is accessible to you by logging into your Pro’s Closet account anytime during the 18 month period. I would rather see a certified registration program which ensures the bike is not stolen. A bike should have a VIN and be registered. I would be happy to pay a modest registration fee to support a national bike registration database. This isn’t anything like CPO programs for cars. Those give you a warranty- this is just giving you some trade in/sell back value that is going to go down steeply every month. Should be considered false advertising since they are borrowing a term that has come to imply a something completely different than what you’re getting. Interesting concept, and I like the idea. But I’m with others that mentioned that the additional cost might not be worth the value gained. The thing is with bikes getting very expensive, there might be a place for this. On top of them being expensive is that they depreciate worse than motorcycles and cars, at least as a percentage. One reason they depreciate so much is that the next owner doesn’t want to pay anywhere near the original price because of wear and tear. If this company removes most of the wear and tear factor, then I think they could have a chance at success. I definitely think this could work well for riders who don’t like to work on their own bikes and want someone to look it over for them before they make the purchase, take it to their shop, and find out the hub has issues, it’s scratched more than expected, needs a full overhaul, and requires 2 new tires. Yes, the odds are low that all of those things would be wrong at the same time, but the risk is there and to some, they would pay for the piece of mind this offers. That’s my $0.02, which would probably cost at least $0.03 at the Pros closet.